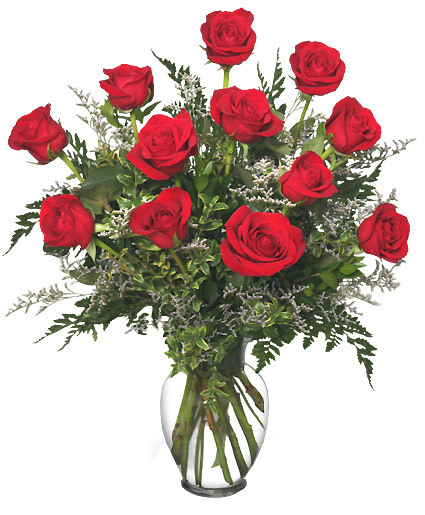 Classic Dozen Roses Red Rose Arrangement in Wilson, NC - Colonial House of Flowers Inc.
Colonial House of Flowers Inc.
Wilson FLORIST - Colonial House of Flowers Inc.
Order within 4 hours 25 minutes for Same Day Delivery! 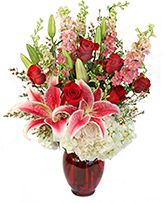 Dozen Rose Vase, Foliage: Miniature Myrtle, Stargazer Lilies, Pink Alstroemeria, Pink Tulips, Red Roses, White Mini Carnations, Heather. 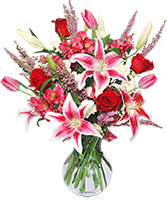 Send our TRUE LOVE BLOOMS Bouquet to express your love and affection. 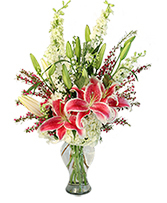 Order on our website - around the clock - or call Colonial House of Flowers Inc. to send flowers to the one you love most. If you need funeral work call me direct on the weekends! !